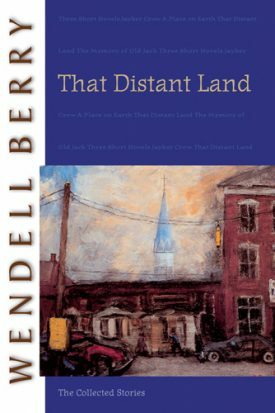 That Distant Land includes twenty-three stories from Wendell Berry’s Port William membership arranged in their fictional chronology. The book shines forth as a single sustained work, not simply an anthology. It reveals Wendell Berry as a literary master capable of imaginative integrity over decades of writing with a multitude of characters followed over several generations. Combining The Wild Birds (1985), Fidelity (1992), and Watch With Me (1994), and including four never-before-collected stories and a map and geneaology of Port William, this book offers rest for the weary, hope for the beleaguered, and strength for the rest of us. WENDELL BERRY is an essayist, novelist, and poet. He is the author of more than forty books. He lives and farms in his native Kentucky with his wife, Tanya Berry, and their children and grandchildren.